The 29 Savage will be Active Thunder’s alternative to performance center consoles. 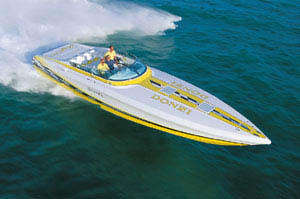 Far ahead of the current wave of custom go-fast powerboat builders pumping out performance-oriented center consoles, Active Thunder Powerboats of Pompano Beach, Fla., offered a 31-footer from 1991 to 2001.And after running the boat in the Florida Powerboat Club’s annual Miami to Key West Poker Run in 2000, Patrick Haughey, the owner of the company, couldn’t wait to get rid of it. 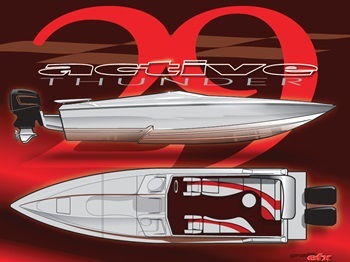 Whether ordered with stern-drive power or outboards, the 29 Savage will be Active Thunder’s answer to performance center-consoles. Renderings by Chris Dilling/Grafik EFX. For Haughey, the problem with performance center consoles—even his own—isn’t performance, especially with today’s high-output outboard engines. The problem is protection from the elements, which he finds lacking in every center console he’s tried. That issue has become even greater with the speed that comes from center consoles riding on faster and more efficient stepped hulls. The 100-mph barrier will fall this year for center consoles. 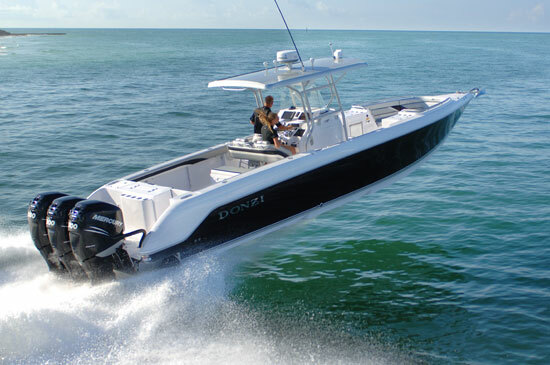 Haughey would rather do something within his sportboat-building comfort zone, but with what he believes is center console utility. So recently he released plans for a new model called the 29 Savage. Available with either outboard or stern-drive power, the closed-deck 29-footer will be in the Active Thunder line specifically to compete with center console models of similar size. While Haughey finds little to nothing to like about center consoles, he’s not opposed to cross-pollinization. 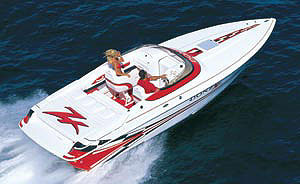 In fact, he took cues from a Malibu Wakesetter towboat he used to own to design the 29-footer’s interior. 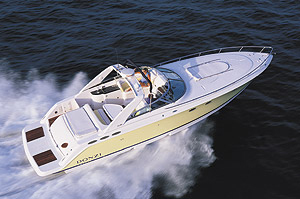 The cockpit boasts L-shaped lounges, which are furnishings not typically found in a closed-deck sportboat. Haughey said that in addition to the upcoming 29 Savage, he is considering offering outboard power on larger Active Thunder models. 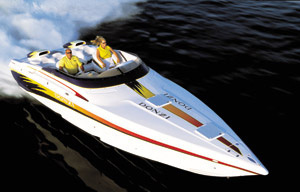 Haughey had been considering releasing the 29-footer with outboard or stern-drive power for several years, but didn’t feel the timing was right until one of the lenders his clients once used recently told him the institution would resume lending on sportboats again. 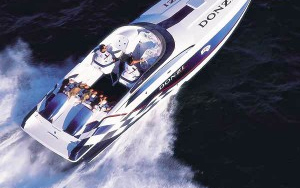 (Lending on go-fast boats all but disappeared after 2007.) That, plus the general upturn in the boat sales in 2014 and a solid forecast for 2015, convinced him that it was time to release Active Thunder’s alternative to center consoles. 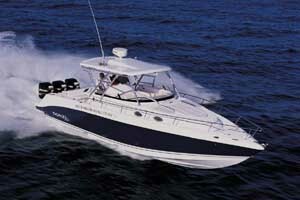 Haughey also sees the 29 Savage as an entry-level sportboat, especially with outboard engines. Like many high-performance marine industry veterans, he correctly believes there is a shortage of entry-level offerings in the segment. Final pricing, he said, has yet to be determined. With performance center consoles getting larger and larger, the 29 Savage is—without question—targeted to compete with the smaller models in the segment. 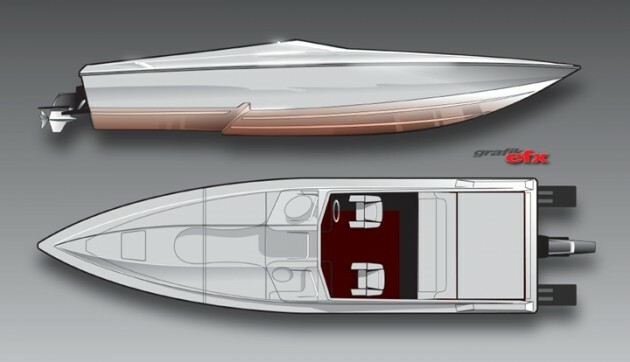 But Active Thunder does have larger closed-deck sportboats that could—if the demand presented itself—be reconfigured for outboard power, according to Haughey.